So I am back again over the same issue that big names continuously skipping on, may be in thinking that touch technology is the future, either be with it or be out of race. My opinions are/were never against touch screen technology. Its always been about the ways, its being handled now days. It might be the case that I may look like alone in the crowd arguing over issues with touch screens repeatedly and some again may feel like calling me a cribber, but this been a blog about the layman always rather than experts or geeks. Even if less bloggers picking on it, I still believe that there are many, who still feel in the same way as I am. Its just not the touch vs non-touch debate, but about making touch phones more real. After having a top of line Nokia touch phone in hands and being through some other big names of touch world, I am back again to point out some of serious issues that could be corrected, if people get to know that there are issues rather than thinking that they will find out those issues themselves. Let’s see what some of the issues are and what could be done about them …..
Its not hard to understand that the issue behind is the little real estate provided to design the interface, but still that captcha bug represents whole buggy touch keypad design, which relies more on our memory than the visual approach (for which, the touch screens were standing for in the first place). Leave the captcha words at the first place, they already annoy sometimes (they tend to get this much complex that become a problem for humans itself, not only computer), think of common scenario. You were about to login into your one of the social account, I say and someone calls in the middle. You have typed the user name and now you were up to entering the password, but that annoying call takes up your 10 mins and when you come back, whoooa what was the site and what was the user name I was typing? Oh! you can always go back and check that..
What about some long list of drop down in some site says Forum Nokia device specification page and you wanna navigate to some specific one? Oh!! yaa… there is a way out of the page.. great intuition.. thanks for forcing people feeling done with touch screen phones. Though I will also agree that there are other advantages of touch screens, when it comes to typing. You got some word wrong at the second last line while typing and you just touch right there correct that. You have to select one word from somewhere and its just stretching a finger. Its sure not like that typoholics have all the reasons for hating only. 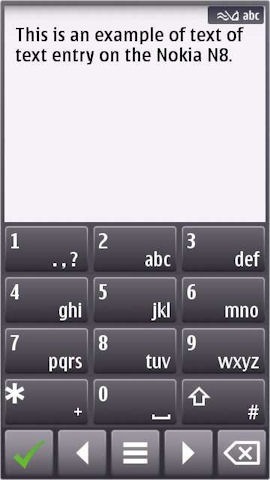 Conclusion and suggestion A full screen keypad app popping up whenever you find a place like typing, just screws the ‘awesome’ experience to live on a touch screen or whatever you call it and only aliens could call it intuitive or whatever they mean in their language. 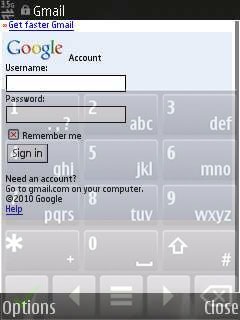 People might be making it fun to type with things like Swype, but why not anyone coming up with some kind of transparent keys design or even split keypad design (under making on Symbian^3) that may let the text boxes be text boxes with their own nature (plain text or password text) and doesn’t make you feel alien-ish when coming from a Non-Touch background? And yes! inline auto correction of words do help a lot. I am not much into other platforms, but as much I see, its very much specific to Nokia. They not only love their ‘ideal’ 360×640 pixels, but seems to be thinking that a filled table took more beautiful than an empty one. Do you know there are many, who are switching to touch screens only for the sake of few cm’s more of the screen.. like going from 2.6” to 3.2” or 3.5” even if they kind of hate those touch screens many times due to issues like I mentioned above. Its true that most of them ask for bigger screens to watch pictures/ movies/ web pages with ease and get ready to compromise on many of their conveniences by going over touch screens and if you ask me, then keeping those 1 cm thicker Options and Exit buttons is really kind of some crime. Yes! they started doing better with opening the web browser in full screen by default, but haven’t layout of Opera or Safari reminds them that people could manage with smaller and intuitive buttons as well? Same story again, if you compare their Photo Gallery with Android ones. Is glassy interfaces and eye candy transition effects going to take ages to deliver? Its good that finally more RAM and hardware acceleration is making the experience smoother than ever but after the long insistence over the low RAM, now Nokia seems to have gotten the another bug of sticking with a standard resolution like 360×640. 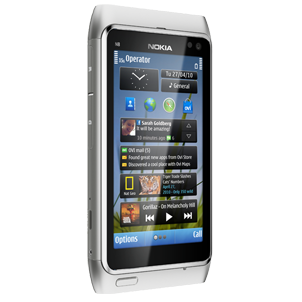 Haven’t the whole internet was buzzing with praises when they delivered the resolution of 800×480 with Nokia N900? What’s point in going back what they started once? They say its that for sake of the various devices\ existing apps, they offer and some of them might be of lower resolutions due to uniform support, price compromises or smaller screen sizes like 3.2” but tell me, isn’t it’s like naive web designers, who start with the approach of assuming the website resolution fixed at 800×600 or 1024×768? 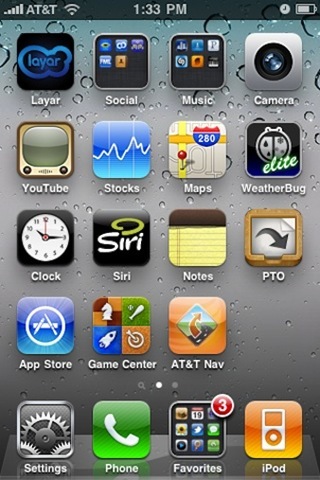 Remember making use of each and every pixels was one of the reasons that make S60 devices to be called as smart once and Gravity like apps as legends. Conclusion and suggestion Are you again going to start the similar mistake that you kept on doing by insisting over lesser RAM and user storage for years and devices over devices? Take my word, don’t do that. You can’t afford more mistakes, if really wanna come back. You have to provide as much real estate as possible even in those little 3.2”, 3.5” or 4” and it will not only ask for higher resolutions but also some intuitiveness as well. If your developers can’t think of that then ask developers like Janole@mobileways.de, but its nothing like that you will catch up later on, its right there, right now. Its again becoming a Nokia specific issue for the most part. Almost every analyst kept on saying to Nokia that Symbian became the burden for only one fact, they tried to rebrand a non-touch OS into a touch one. Otherwise S60 and S40 operating systems were never that bad or hated in communities, neither they are even now. It was similar kind of mistake that desktop emperor Microsoft did, when they approached the smart phones. They thought that the same interface with minor adopting will sell as people will feel more ‘familiar’ to that. You seen what happened with them, haven’t you? You are a nerd or geek, if you are seen on computers for most of the time, but you look like a confused person, if you seen fiddling to many folders and menus for performing a simple task on any smart phone. When we call Smart then it goes to have everything right there, when you need that anytime. Don’t tell me that people haven’t kept on warning you about the fiddly navigation system on S60 V5 and Symbian? It was fine with non-touch phones to have those two buttons at the bottom approach, but Nokia and Microsoft should have got the point in 2007 only that this kind of button approach isn’t going to work with touch phones as well. Ribbon approach as started by Apple in some extent and now being followed by Android or Bada as well was sure a better way to go. Even if something is not that simple, it can be made to look simple that’s the design part takes place. Making more efficient-n-capable apps is another thing and making them look really simple is another thing. I guess developers doing their jobs perfectly, but designers not or the demarcation line between two has been blurred out since the OS design. Conclusion and suggestion What about keeping all the things full screen all the time and a customizable ribbon appearing from top, bottom, right or left edge of screen holding the running apps or frequently used apps? Remember such innovations are already in place with your system only, when we get last used symbols on pressing # or those last dialed/ SMSed contacts system in S40 phones, when trying to send a new SMS. 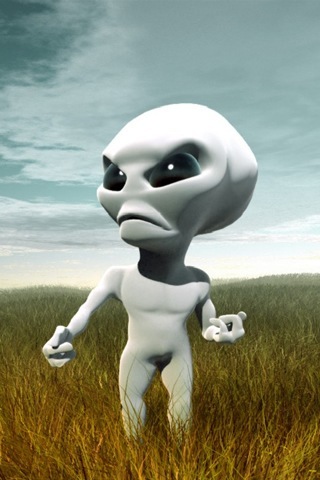 Its not totally an alien idea to you, is it? No! I don’t have that small blogger syndrome, neither do I think that whatever words get thrown over some web page reach to right people straight away, but it never stopped a layman from talking. Everything takes time to get matured in order to serve us better, but its the opinions that bring those changes possible in lesser time. I still have a hope that the touch screen fanatics will listen to the concerns, which non-touch fans find hard to live with, whenever they want to like touch phones. They may not be echoing the words that hard, when someone says something in favour of non-touch phones, but I still believe there are many, who wants a few changes in touch world… am I wrong?